A pair of Beer Bottle Glasses including blue framed glasses with a Sombrero design – Ideal for an Around the World theme, or any fancy dress occasion! No party look would be complete without these fun and funky Beer Bottle Glasses. 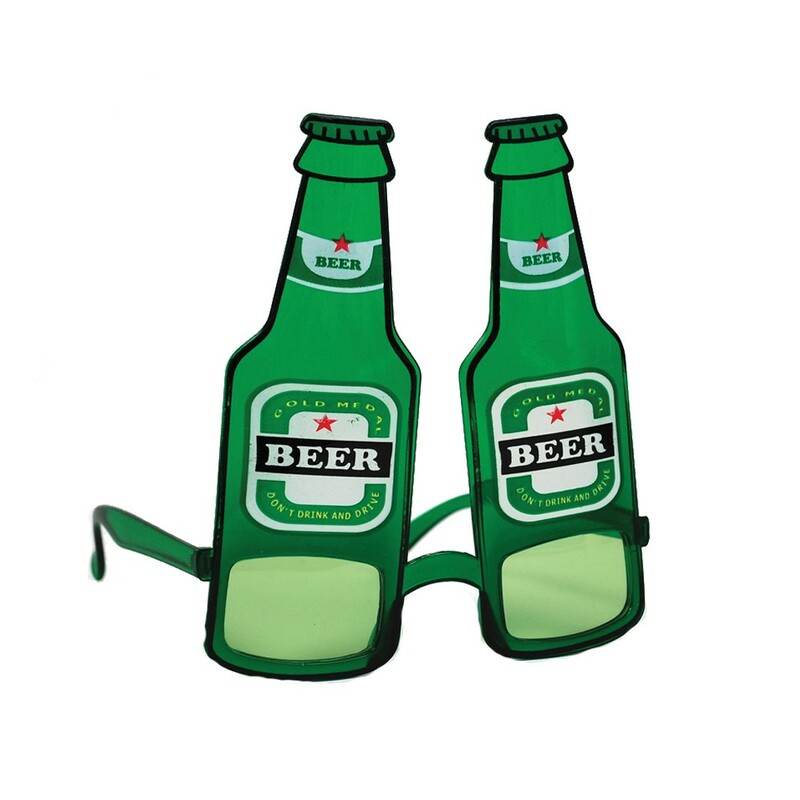 These Beer Bottle Glasses come complete including a pair of green glasses with an attached plastic bottle details. The green framed glasses feature attached plastic green beer bottles for this fun fancy dress occasion! These Beer Bottle Glasses are perfect for a comedy theme, or any fun fancy dress occasion! So get into the party spirit with these fantastic Beer Bottle Glasses. A pair of Beer Bottle Glasses including a pair of green glasses with an attached plastic bottle details.